Fascinating review, Bev. I remember when this came out, but it did seem to slip off the radar. Always good to have a personal recommendation for a movie that I'd otherwise overlook. Thanks! 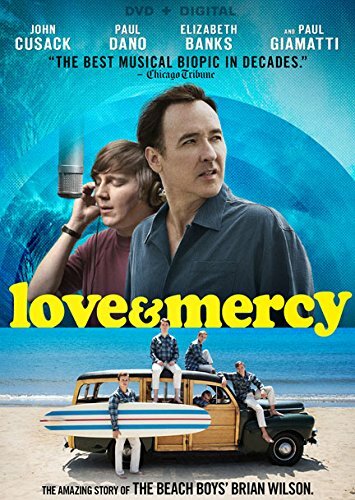 As much as I love John Cusack and the Beach Boys, it is truly hard to believe I missed this movie, yet I did. After reading your review, I want to go watch the movie and not even bother working today. Our soul wants to come out and play is certainly a fabulous quote and one I know both you and I grasp with intensity. Wonderful review Bev! Thanks for introducing me to the movie. I can hardly wait to watch it! Oh Bev, I have sent this to my other half, he's always looking for movies that are inspirational and this sounds like it would be right up his alley (and mine). Thank you for the review, sometimes I think the best movies don't get near the "spotlight" that they should have. What a fascinating movie review. I think I had heard that there was a movie that had something to do with the Beach Boys, but I go to or watch very few movies these days, so have not kept up. Thank goodness for excellent reviews like this or I would have missed a movie I really DO want to see. This sounds like a movie I might enjoy. Thank you for reviewing it. I like stories that show transformation in people's lives.